Please Note - Our products are available for pickup ONLY. We DO NOT ship any queens, nucs or packages. 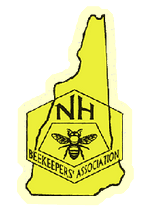 Pollination services in Southern NH & Northern MA also available. Copyright B-Line Apiaries. All Rights Reserved. eCommerce Software by 3dcart.